I’m delighted to announce that the show will premiere at Edinburgh Fringe 2019, and the Pleasance Queen Dome will be our theatrical home for a month. The show premieres on August 3rd (previews July 31st, August 1st and 2nd) and will run until the 26th August (with the exception of August 13th). I hope you can make it up to see us in action, we’re so proud of what we have made, and truly believe it’s our strongest work yet. After the run in Edinburgh we hope to investigate other touring options, and a concept album to accompany the show will be arriving in the Winter. Eternal gratitude to Snape Maltings, The Pleasance and Les Enfants Terribles LET Award for believing in us! 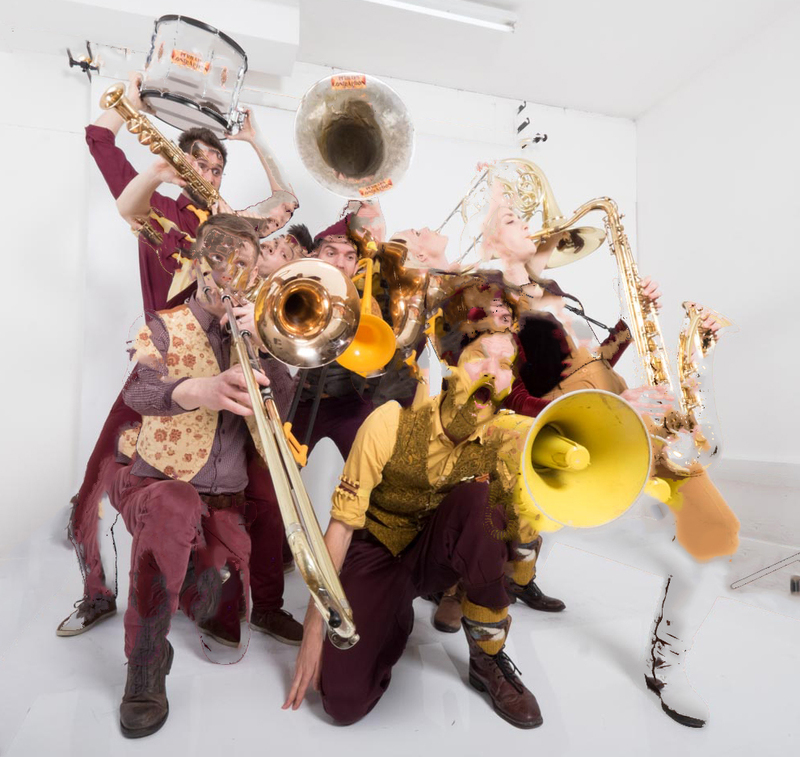 This nine piece, multi award-winning progressive brass band embark on a curious audio-theatrical journey. Replete with intricate rhythms, enormous choral harmonies, dynamic choreography and ruminations about stars and happenstance. This is gig theatre which contemplates our baffling origins, and the tiny stories entwined within. Bursting with triumphant horns, fascination and wonder.